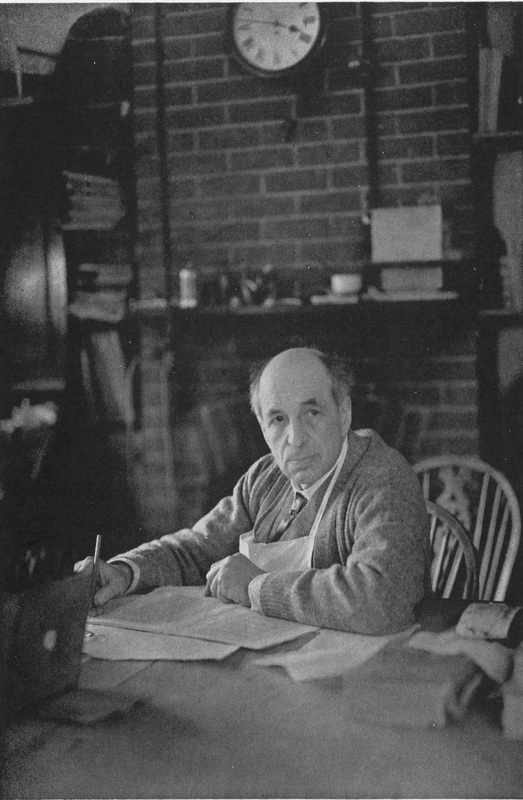 Item is a photograph of Douglas Cockerell sitting at a table in his workshop in Letchworth, Herts, England. The photograph was published on page 44 of The Chronicle No. 222 in December 1935. The Chronicle, No. 222. Limited edition: #69 of 150. Cambridge, Massachusetts: Wm. Inglis Morse, Litt. D., Editor. Dalhousie Unviersity Libraries Special Collections. “Photograph of Douglas Cockerell in his workshop,” Dalhousie Libraries Digital Exhibits, accessed April 25, 2019, https://digitalexhibits.library.dal.ca/items/show/1044.